A vegetable planting guide can be your best friend if you are planning to grow a number of different crops in your vegetable garden. Each type of plant has its own peculiarities, and even if you are only planning a few different vegetables the multiple specifications for starting seeds, planting times, and soil requirements can become bewildering. A good guide will bring some organization to your efforts and allow you to enjoy your hobby without becoming overwhelmed. These systematic guidelines simplify the gardening process by breaking up the seemingly endless variety of garden crops into manageable groups. In general, most vegetables fall into one of three categories. By understanding the particular needs of the category, you can get a rough idea of how you need to treat each individual plant. You can usually sow cool season crops directly in the garden as soon as the soil is workable and the garden beds are prepared. Most of these vegetables are easy to grow, with one caveat: they must mature before the full heat of summer. If you live in a planting zone characterized by very hot, early summers, cool season crops should be started as seedlings indoors and transplanted into the garden as soon as possible to give them time to mature. Warm season crops are easily damaged by frost, and their seeds do not germinate well in cold soil. In most planting zones, these vegetables need to be started indoors at least six weeks before the last frost date, and be transplanted into the garden only after all danger of frost has passed. Often treated as a subdivision of warm season crops, tender crops are killed by frost, but are nevertheless able to germinate and grow in cooler temperatures. Either start these crops indoors, or sow them directly in the soil with special precautions in place. 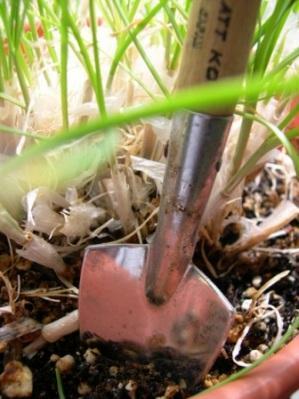 To sow tender crops directly in the garden, place hot caps over the planting site for about a week before your intended planting date. Once the seeds are in the soil, keep them covered until they have germinated and are growing vigorously. Continue protecting your tender crops until all danger of frost has passed. As these crops often have a long growing season, be aware that you may have to be vigilant against frost in the fall as well as the spring for your vegetables to reach maturity. Skippy's Online Vegetable Garden Planting Calendar: This user-friendly calendar generates optimum planting dates based on the last spring frost date for your area. Old Farmer's Almanac Best Planting Dates for Seeds: Calculates planting dates based on zip code, postal code, or city and state or province. Growing Vegetables & Fruit Around the Year: A Calendar of Monthly Tasks for the Kitchen Garden with over 350 Photographs and 80 Step-by-Step Techniques by Jonathan Edwards. Lois Hole's Vegetable Favorites by Lois Hole. Choosing a planting guide format is mostly a matter of personal preference. Whether using books, interactive calendars, or simply gardening by crop type, your strategy will be essentially the same. Just find a style that works well for you, and go out and enjoy your garden.